Mad for Marmalade, Crazy for Citrus! The mission of the Culinary Historians of Canada is to inspire appreciation and advance knowledge of Canada’s food history. The CHC researches, interprets, preserves and celebrates Canada’s culinary heritage, which has been shaped by the food traditions of the First Nations peoples and generations of immigrants from all parts of the world. Through programs, events and publications, CHC educates its members and the public about the foods and beverages of Canada’s past. 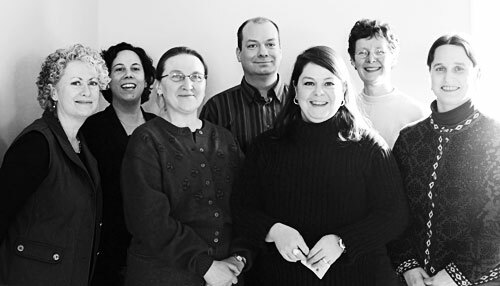 Founded as the Culinary Historians of Ontario in 1994, CHC welcomes new members wherever they live. The CHC Board for 2108-2019. 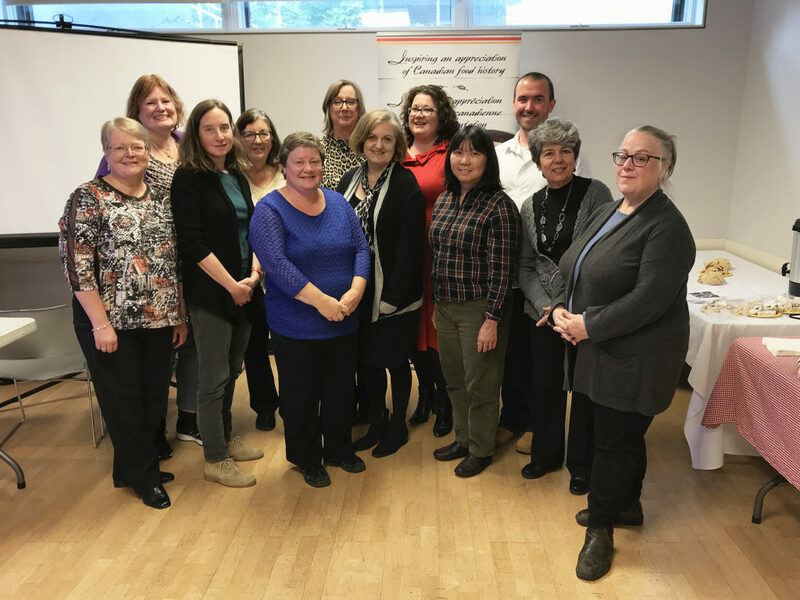 Left to right: Lori Jamieson, Kim Moulsdale, Ellen Pekilis, Sherry Murphy, Carolyn Crawford, Sylvia Lovegren, Julia Armstrong, Samantha George, Judy Chow, Ryan Whibbs, Luisa Giacometti, Sarah Hood. Not shown: Jane Black, Jennifer Meyer. Photo by Mark D’Aguilar. President: Carolyn Crawford (term ends 2020): Carolyn served as CHC board secretary from 2016-2018. In April 2017, she represented CHC at Vimy (France), demonstrating Canadian War Cake, and has since offered WWI Homefront and Front Line food presentations at the Royal Agricultural Winter Fair and to historical societies. She generously provides historic and traditional baked goods for sampling or sale at numerous CHC events. Having grown up on a farm and still farming today, as well as her involvement in organizations such as 4-H, Women’s Institute and her local Fall Fair, have led to her love of baking and collecting culinary antiques, recipes and cookbooks. Co-Vice-President: Samantha George (term ends 2020): Samantha is Curator of Parkwood National Historic Site in Oshawa. A member of the board of CHC since 2015, Samantha has made presentations on food history at both the Royal Agricultural Winter Fair and Vimy 100. Her personal interests are food recipes and remedies of the Spanish Flu epidemic 2018/2019 and the Jam for Victory Campaign 1939 to 1945. Co-Vice-President: Sherry Murphy (term ends 2020): For the past 18 years, Sherry has been a volunteer historic cook at Montgomery’s Inn and Fort York National Historic Site; her knowledge of historic cooking enriches such hands-on cooking events as the annual Baking for the Victorian Christmas Table, which she leads, and provides CHC events with delicious baked goods from many past periods. She has become an expert in WWI-era cooking, and has made many presentations on the topic, including to thousands of students visiting France for the observation of the centenary of Vimy Ridge. She studied nursing and worked many years in the medical field; now retired, she volunteers at SickKids Hospital with the Women’s Auxiliary, helping in the Family Centre and teaching calligraphy. She also loves reading—mostly history—as well as sewing, baking and watercolour. Secretary: Lori Jamieson (term ends 2020): Lori has been a member of CHC for nearly 20 years. She is a technical writer and former agricultural journalist by profession. She is a fifth-generation Scottish Canadian with deep roots in Ontario farming. Her culinary interests are primarily in pioneer and early rural Ontario and she is currently working on a personal research project on recipe columns in early Ontario newspapers. Treasurer: Sylvia Lovegren (term ends 2019): Sylvia has been a member of the CHC since moving to Canada ten years ago. She has written two books: Fashionable Food, Seven Decades of Food Fads and Melon: A Global History—both available through University of Chicago Press—and contributed a number of entries in the Oxford Encyclopedia of American Food. She has served on the Board of CHC for a number of years, first as Secretary, and then as Treasurer. She is still humbled by how much there is to learn about Canadian food history. Chair of the Membership Committee: Judy Chow: Judy has been a CHC member for many years and has previously worked with the CHC board on programming and strategic planning. She has gained board experience with the Canadian Institute of Food Science and Technology and through involvement with the sport of figure skating at the club and regional levels. After graduating from the University of Guelph, she served as an instructor and program co-ordinator for the Certificate in Food Science program at her alma mater. She now works in the food industry in the field of regulatory affairs. Her interests include regional cuisines, history of food processing and evolution of food laws. Co-Chair of the Communications Committee/Electronic Resources: Julia Armstrong: Julia has been a member of the board for three years. She assists with digital communications: researching and posting items on CHC¹s social media, photographing events for sharing in Digestible Bits & Bites, maintaining the CHC Flickr album and contributing to the newsletter as compiler of the conferences section and as proofreader. In the coming year, she looks forward to expanding the resources section of the website. For 10 years, Julia was an editor at Canadian Living magazine, where she was privileged to work with the talented members of the food department. 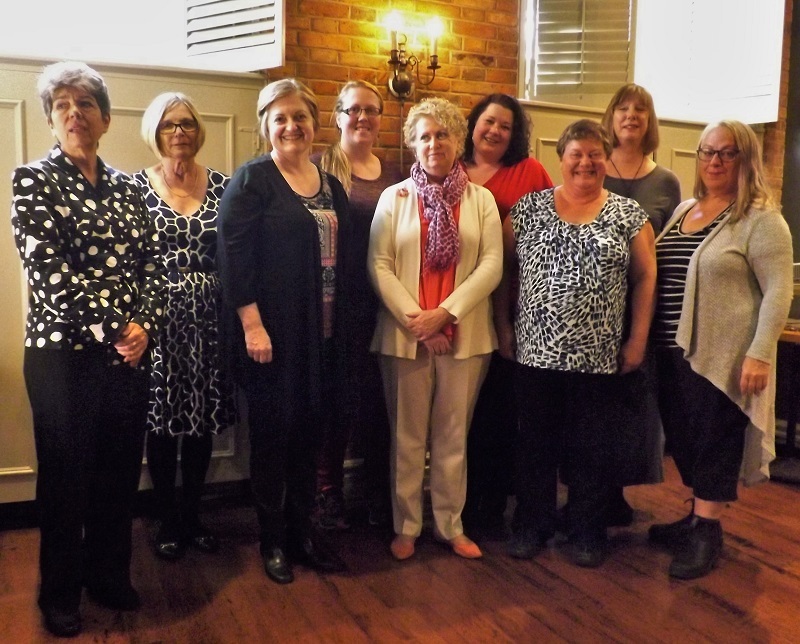 She has copy edited several cookbooks, the most recent being one of her favourites: Recipes for Victory by CHC lifetime members Elizabeth Baird and Bridget Wranich in collaboration with the historic cooks at Fort York. Julia is the supervisory editor at the Dictionary of Canadian Biography, University of Toronto (Biographi.ca). Co-Chair of the Communications Committee/Publications: Sarah Hood: Sarah has managed the monthly e-newsletter, Digestible Bits & Bites, since June 2014; she joined the board in 2016. An award-winning jam-maker, she is currently working on a book titled Jam, Jelly and Marmalade: A Global History for Reaktion Books in the UK. She contributed historical recipe research to the television series Back in Time for Dinner. She gives occasional presentations about food history and volunteers as a historic cook at Montgomery’s Inn. Chair of the Outreach Committee: Ryan Whibbs: Ryan is a chef and food historian teaching at the Chef School, George Brown College. Ryan is particularly interested in local food and restaurant history as a way of deepening public connections with Canada’s past. He brings with him board-member experience from the Canadian Association of Food Studies (2015-2018), as well as a history of building industry- and community-engagement initiatives related to food culture and foodways. Chair of the Chapters Committee: Ellen Pekilis: Ellen is a legal, risk and governance advisor with a long history of not-for-profit board service. She currently sits on the board of the College of Optometrists of Ontario and CADTH, which does evidence-based assessments of health technology. Previously, she was General Counsel with Canadian Standards Association. She is an enthusiastic amateur home cook and blogs about peanut-free food on her personal blog, Ellensflavourstosavour. She is interested in public policy regarding food safety and security, as well as the way food helps bring immigrant communities together. In her dreams, she will one day experience cooking over an open hearth. Coordinator of Volunteers: Jennifer Meyer: Jennifer grew up near Toronto in a multicultural home with immigrant parents where food both divided and brought family together. She first became interested in food history and culture through a university course on the anthropology of food. A secondary-school history and social science teacher, Jennifer sees that feeding students is a great way to sneak in learning and create interest in elective courses. 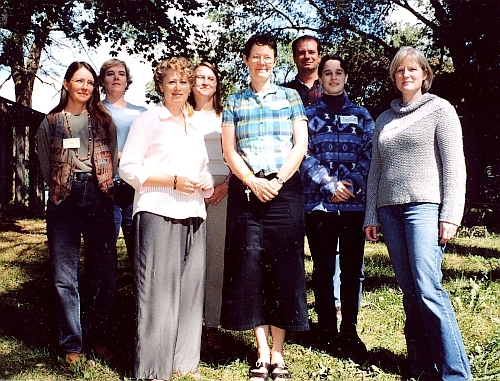 1994: CHC was founded by Fiona Lucas, Christine Ritsma and Bridget Wranich, who directed the association’s growth for almost a decade. They attracted a membership that reflects a broad spectrum of skills and expertise in the field of culinary history. 2003: On the eve of CHO’s 10th anniversary, members adopted a Constitution and elected its first Executive, for a two-year term. 2010: The membership approved a change of name from the Culinary Historians of Ontario to the Culinary Historians of Canada. 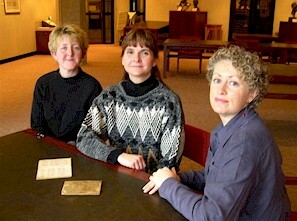 Founders of the Culinary Historians of Canada (left to right): Christine Ritsma, Bridget Wranich and Fiona Lucas examine the two known copies of The Frugal Housewife’s Manual (Toronto: 1840), the first English-language cookbook compiled in Canada, at the U of T’s Thomas Fisher Rare Book Library in 2003.